Are you getting into shape but need a little extra motivation? 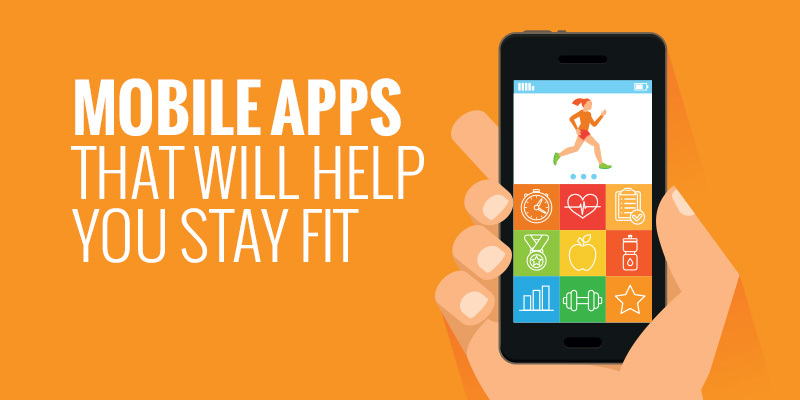 Check out these fitness apps for a little extra kick in your fitness regimes. Let us know what you think of the fitness app you pick or if you’re using something else. Fitbit claims to be the world’s leading app for tracking all-day activity and workouts. Users can record steps taken and distance covered with its Mobile Track and it offers a variety of cool features when the app is paired with a Fitbit tracker. You can record workouts and then check the app to compare your stats and chart improvement. You can log your food and water intake to get nutritional insight as well as monitor your sleep pattern. This app encourages you to train for thirty minutes, three times a week for eight weeks to get you from the couch to running 5k. This a hugely popular app with millions of downloads simply because it is straight forward and if you stick to it, you will achieve running 5k as well as reaping the benefits from increased fitness. What makes it easier to stick to is the fact that it demands so little time which makes it ideal for people who struggle to find time to squeeze in a workout. You also don’t need to be a fitness fanatic to start the programme as it begins at novice level and incorporates intervals of walking, jogging and running during each session. This app takes all the guess work out of your weight loss plan as it creates a custom one for you to suit your lifestyle. It’s like having a nutritionist and personal trainer in your pocket available at all times. Users simply fill in their weight loss and health goals so you can keep track of your progress easily. You can not only track calories but, like Fitbit, the app provides a barcode scanner to get a more detailed log about the good foods you are consuming, focusing not just on the calories but also the nutritional value. It can also connect to other apps and devices. Free. Available for iOS, Android, Nook and Kindle. This app is all about seven minutes of workout training. It has over 20 million users and the best part is it requires no equipment. It provides you with a challenge of working out for seven minutes for seven months using nothing but a chair, a wall and your own body weight. It sounds too good to be true but the app has been based around scientific studies to provide the body with maximum fitness benefits by working out regularly in the shortest amount of time possible. To maintain motivation the app gives users three ‘lives’, just like a video game. If you skip a day you lose a heart and if you miss three workouts in a month your progress resets to zero and its game over! If you work out every day for seven short minutes for seven months you become a 7/7 champion. 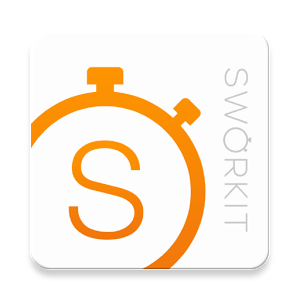 Sworkit provides users with personalised video workouts carried out by an easy to follow trainer that requires no equipment. Every workout can be made fully customisable so if you are nursing an injury or have a bad ankle you don’t want to jump on, for example, you can choose from over 200 exercises to suit your specific needs. A workout can last anything between five to sixty minutes. You can target any part of the body that you want to train which incorporates variety into your workouts which increases interest.